Cool School for school age kids Sundays at 11am: all are welcome. There has been a church worshipping here at St. Andrew’s for over 40 years, however in October 2001 the building was burnt to the ground due to a fire. Luckily though the building was fully insured and was rebuilt to a high standard reopening in December 2002. During the time when there was no church building the congregation continued to meet together in the vicarage, learning much about what “church” was really all about. The new building is fantastic and consists of the main chapel, a small chapel where Cool School is held every Sunday at 11am, a lovely big hall which we let out, and are happy to let out to any community groups or for children’s parties, and fully equipped kitchen. 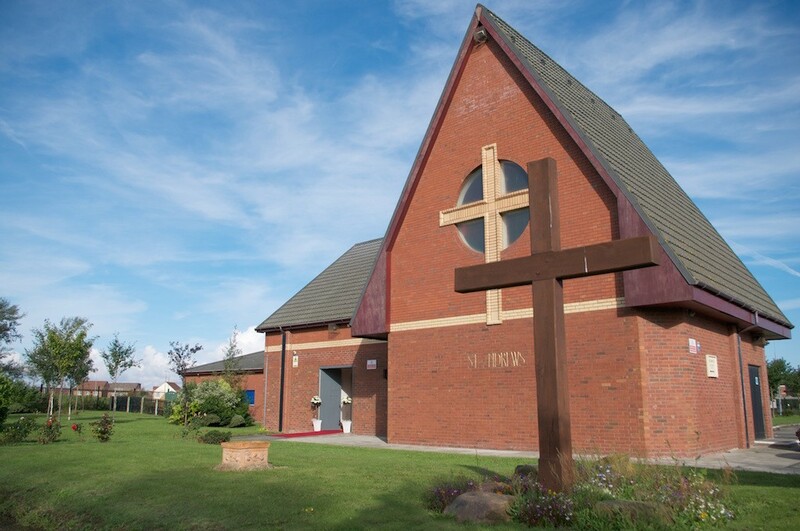 The building is used extensively during the week by various community groups and organisations. St. Andrew was one of Jesus’ first disciples, a fisherman who having discovered Jesus for himself went and fetched his brother Peter so that he could meet him too. This is largely what St. Andrew’s is all about, a group of very ordinary people who have met Jesus and are seeking to live out their Christian lives within the community. Our mission statement (above) seeks to communicate what we are about. We have reflected and prayed on this over the last three years and this has led to us registering as an Inclusive Church in December 2015; we strongly believe that God calls His church to be completely inclusive of all people regardless of ability or disability, of gender, race or sexual orientation. If you visit us we will give you a warm welcome and seek to make you feel at home, however we also hope that through church – the service and the people, you will experience something of God’s love and know his acceptance of you. Please explore the links on this page to learn more about us.